On the night of 13th March 2015, Cyclone Pam hit the island of Vanuatu, affecting an estimated 188,000 people across all six provinces and causing widespread damage to personal shelters, infrastructure and livelihoods. At the end of March, REACH was deployed to Vanuatu in partnership with the Global Shelter Cluster to implement a detailed Shelter and Settlements Vulnerability Assessment which would identify vulnerabilities and inform the development of a medium to long term strategy for the Cluster. Following the completion of shelter activities outlined in the Humanitarian Action Plan (HAP) on 31st July, the Shelter Cluster redeployed the baseline assessment team in August 2015 to conduct a detailed evaluation of the shelter response. In an attempt to evaluate the effectiveness of the operational response and identify barriers to recovery, the aim was to monitor sheltering conditions, evaluate the utility of various shelter interventions, determine what gaps and needs continue to exist and finally, inform future preparedness and contingency planning. In this context, the evaluation found that 68% households had received some kind of assistance since the launch of humanitarian operations with the most commonly received shelter assistance being tarpaulins. While majority of the households reported having used received assistance, those who did not, reported commonly to have stored this assistance for future use, thus highlighting the prevalence of household-level preparedness strategies. Household-level preparedness is also reflected in the fact that a large majority of households (66%) reported having taken specific measures like trimming tree tops and branches near shelters, fitting shutters or screens to glass areas and cleaning property of loose material to ensure that their shelter would be safer in the event of another disaster. In terms of recovery, 85% of households reported that they had completed substantial repairs or rebuilding of their shelter at the time of assessment while 81% reported that they had remaining needs to facilitate full shelter recovery. Indeed, shelter/ housing support was the most commonly reported priority need after drinking water and food. Despite the persistence of such basic needs, it is worth noting that according to evaluation data, the need for Non Food Items (NFIs) which was significantly reported during the baseline assessment, has since been fulfilled. Overall, the evaluation has demonstrated that for the most part, the response has been relevant in its design and planning while meeting immediate emergency shelter needs of affected populations. 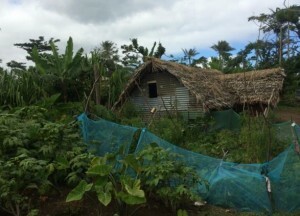 On the other hand, with almost a quarter of households (21%) still reporting shelter/ housing support as their first priority need combined with the reported needs for shelter recovery, the need for the provision of housing assistance to facilitate full shelter recovery in Vanuatu still remains. Therefore, as the response transitions from an emergency phase into the recovery and preparedness programming stage, it is critical that these remaining needs be taken into account and integrated into the future planning process for recovery.